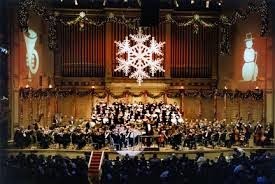 Did you know that The Boston Pops originated in 1973, and were originally called “A Pops Christmas Party”? 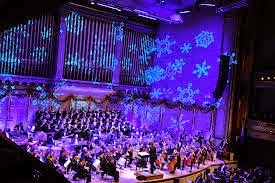 Since then, the Pops have become a tradition in Boston during the Holiday season, and this year the tradition continues with conductor Keith Lockhart. As well as traditional shows, there will also be a Kids Matinee show, Home Alone performances, and a New Years Eve show. Starting on December 3rd, shows will be held to warm your heart for the holidays! If you are looking for a musical performance that will entertain everyone from the family, be sure to check out the Boston Pop’s Kids Matinee Performances. These performances are special family programs that are shorter, and have no intermission. During the show there will be family-friendly music and a sing a long. If you stay after the show, there will be pictures with Santa! Floor seat tickets include kid-friendly meals and holiday treats. There seven showings for the Kids Matinee, so be sure to buy tickets ahead of time! What better way to celebrate holiday tradition than with music and a classic holiday film? 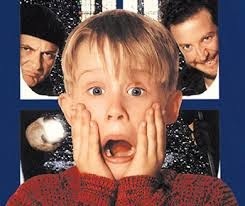 This year, the Home Alone performance will be shown three times. The Home Alone performance includes a screening of the holiday classic Home Alone, and live orchestral accompaniment. The film is about a boy who is accidentally left at home for the holidays without his family, and his adventures as two thieves attempt to rob his house. This heart-warming and hilarious show is a must see this season! Looking for a musical and exciting way to spend your New Years Eve? On December 31st, at 10 pm, the Boston Pops will be putting on a show to remember. The Boston Pops Swing Orchestra will be performing all night long, so put on your dancing shoes and get ready to dance the night away! Complete with a cash bar and several dining options, is there a better way to spend your New Years Eve? Top off your musical night with comfort and luxury. The Clarendon Square Inn is an elegant and relaxing bed and breakfast that is located in a quiet neighborhood in the South End. With a friendly staff and an amazing continental breakfast, you will surely have an wonderful Boston experience!